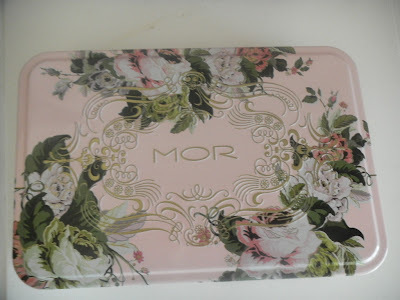 MOR Cosmetics is a Australian luxury cosmetic bath, body and fragrance company I've had my eye on for a while. The philosophy behind MOR is to provide a personalised sensory journey. They aim to awaken and titillate your senses, through creating a memorable pampering experience from the visual packaging to the product offerings. The packaging is what caught my eye. MOR Cosmetic's gift sets are absolutely stunning. The Pretty In Pink Gift set, (pictured above) in scent, Marshmallow, is unlike a scent I have smelled before. It's Vanilla Musk, Jasmine Flower, Sugar dipped rose petals with White Carnation and cotton candy. Gorgeous right? I'm glad I got to try this set right before Christmas. This would make an awesome gift. So what's included? Here's what you will get for $40. Aggh it's so pretty, I love the colors and the expensive look and feel to the entire set. And at only $40, this is great for Christmas! Honestly, this looks a lot more expensive then the actual price. The Marshmallow Hand and Nail Cream is included in the Pretty in Pink set, but can also be bought alone on the MOR Cosmetics site. The antioxidant Jojoba Oil known for its natural skin healing ability and soothing Macadamia Nut Oils used for skin rejuvenation mingle with extracts of Peach, Marshmallow Flower and Vitamin E to pamper and protect hand and nails whenever needed. The smell is very strong, so only a little is needed. It leaves your hands extremely soft, however I think it works as a perfume lotion as well. Now for my favorite part, the lip balm! This is also part of the Marshmallow collection, but I find the scent to be a bit different. This is more of a citrus, almost strawberry smell. It smells SO yummy. I'm almost out! Did you get a chance to see the case it comes in? It's beautiful, almost like a painted easter egg. This balm is $21, so you're better off buying the Pretty in Pink set instead of purchasing separately. The final chapter in the Pretty in Pink Set is the Marshmallow Triple Milled Soap. Feelings of nostalgia are kindled with this deeply etched, pink, vintage inspired triple milled soap bar. Blending Vitamin E and Shea Butter in a vegetable base, the soft rich lather pampers and softens dry skin. If you're a soap collector, you will want this. It's rather large, it will last quite some time. And it's wrapped in beautiful paper. I haven't used it yet, I'm actually using it as a decoration. It's a little too pretty for me to actually use as a soap. Hmm, can't think of anything else! Final Thought: This is a great gift set, either for yourself, or someone else. If you don't want to give the entire set to just one person, you can break it up and give it to 3 different people. The smell is very nice, but overall for me, it's the packaging I fell in love with!! You can purchase the Marshmallow Pretty in Pink Gift Set at Mor Cosmetics for $40. You can purchase all the items above individually as well. The Giveaway: One winner will win the same gift set I reviewed, The Pretty in Pink Marshmallow Kit! To enter visit MOR Cosmetics, and let me know another product and scent that caught your eye!! Good luck beauties! Contest ends 11/20/2010. Open to the US Only. Winner will be chosen by random.org and will have 48 hours to respond to the winning email. I would love to try the Marshmallow Body Sugar Scrub! I would love to try the Snow Gardenia Candle, sounds wonderful! Oh wow - I love their site. Even their website feels expensive & luxurious! The MOR Gifting set "Dear Mr. Partridge" sounds like it's MADE for me: all my favorite scents are in there! I follow you on google friend connnect. I like you and Mor Cosmetics on facebook. The BLOOD ORANGE LIP DELIGHT caught my eye! I like the Feijoa Lime Body Butter. Cucumber & Casaba Soap caught my eye. The Emporium White collection sounds wonderful. I visited the sponsor's website and liked their Hibiscus Bloom Soap from the Emporium White Collection. Thank you for hosting this giveaway. I'd like to try the Snow Gardenia Body Lotion. I follow you with Google Friend Connect (catalinak). I like you and Mor Cosmetics on Facebook (catalina khalaj). I think I'd enjoy the Cassis Noir hand & body wash. I'd love to try the My Sweet Napolitian gift set. 1- I follow on Blog Lovin'. 1- I follow you on Blog Lovin'. I love the Marshmallow Sugar Body Scrub. I would like to try the Royal Mulberry Body Butter. The My sweet napoleon gift set looks nice! I like the limited edition dear mr parson gift set! Snow Gardenia Hand & Body Wash.
Feedburner keeps telling me I'm already subscribed, and when I click on the confirmation email they tell me they can't find the subscription... I'll try again after I get a chance to reboot, I suppose. I would like to try the White Hydrangea Soap-sounds lovely! 1.I follow you on Google Friend Connect. 2.I follow you on Google Friend Connect. The Emporium White Collection Royal Mulberry Body Butter looked like something that I would really like to try. the My Sweet Napolitian gift set looks great! Their Marshmallow:Sugar Body Scrub caught my eye, it looks like it'd be so fun to use! I love marshmallow and body scrubs! Belladonna Body Butter. I also like the Snow Gardenia scent! I am following the blog under kcmcleese@gmail.com. I like you on facebook and subscribed via email to the above email address. The Cassis Noir Body Butter sounds so nice too. Thanks.